Fish Hawk Guide Service is a full time, year round charter business based in Maryland. 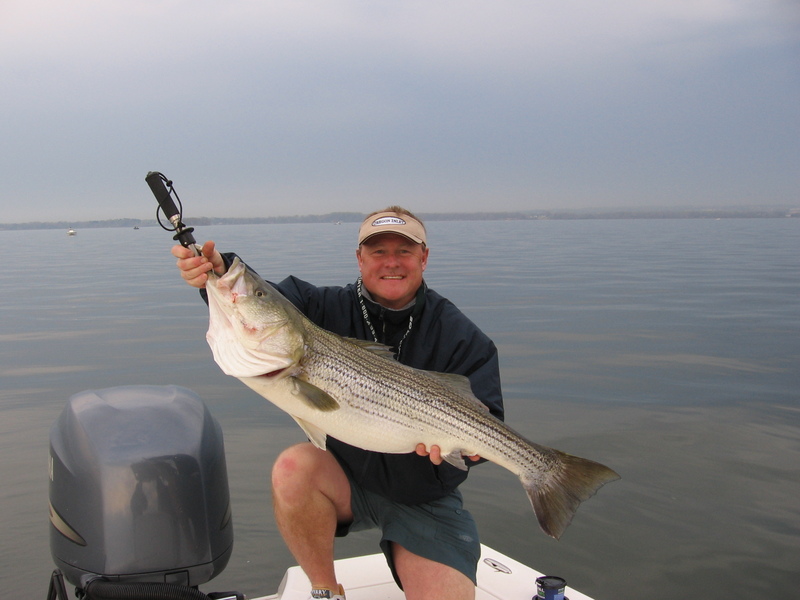 We do light tackle and fly fishing charters on the Chesapeake Bay and tributaries. Saltwater fly fishing and light tackle is all we do. In the spring we fish the Susquehanna Flats. In May we fish Eastern Bay for big post spawn fish. From May to mid November I fish out of Kent Narrows, close to Washington, Baltimore, and northern Virginia. Starting around Thanksgiving you will find me at the CBBT in Cape Charles. All through the season we catch striped bass, also known as rockfish. In summer into fall we catch bluefish and spanish mackerel. All tackle can be provided, either fly fishing or spin fishing. The goal is to be where the best fly and light tackle fishing is at that time of year.